Breakthrough for the change of energy policy: The German economy agrees on a consistent technology concept for efficient energy use - EEBus Initiative e.V. companies found the Initiative EEBus e.V. to sustainably and internationally establish the standard. Hanover. In future, the German economy will make use of the consistent networking EEbus standard for its new products and solutions in the area of efficient use of energy – e.g. in the area of Smart Home or Smart Industries. This has been announced by the leading companies of the relevant areas at today’s opening event of the Hanover trade fair. In the scope of a joint press conference, household appliance specialist Miele, heating manufacturer Vaillant, ABB and Schneider Electric groups and building automation companies Busch-Jaeger, Gira and Jung, as well as others, explained about the importance of agreeing on a common standard in this item. Only this makes it possible to master the challenges in conversion of energy systems. EEBus optimises exchange of information between electronic devices in industry and private households on the one hand, and energy providers on the other. The agreement also includes companies like SMA, SolarWorld, E.G.O. group or Landis+Gyr, which are among the global market leaders in the energy and electronics industry, energy provider MVV, essential companies of the energy efficiency sector like Kofler Energies, Kellendonk Elektronik or IEQualize and the VDE association. „This initiative is an important step to enable diverse opportunities for customers on the ‚Smart Home‘ future market to lower energy costs,“ explains Peter Hübinger, manager of the Miele Electronic plant, in the scope of the founding event. At the same time, customers and companies thus contributed to the success of the energy policy change. The background: for the switch to renewable energy sources as desired by politicians to work, „smart networking“ of technical devices is a vital aspect. „Smart Grids“ are required, in which household appliances as well as industrial plants use standardised communication with the provider to recognise at once whether there is enough power in the grid, and whether power and therefore starting of the appliances is comparatively cost-efficient. This way, private and commercial users not only lower their electricity invoice, but also make an important contribution to more efficient use of regenerative energies. Previous demand peaks can be distributed to clearly reduce energy production from climate-damaging sources. To implement this sustainably, the clearly defined interfaces of EEBus are needed between the systems. Only they enable comprehensive (interoperable) function of the individual devices. Determination of a consistent networking concept that integrates the present bus systems and permits free access to the technology now provides companies with the safety that investments in production and research in this area will pay off. „This gives the future market for energy management a huge push,“ Jürgen Högener, manager of building automation company Busch-Jaeger, which is part of ABB group, is certain. According to him, interesting areas of activity for industries and developers of applications or craftsmen on site are expected to develop because of this. 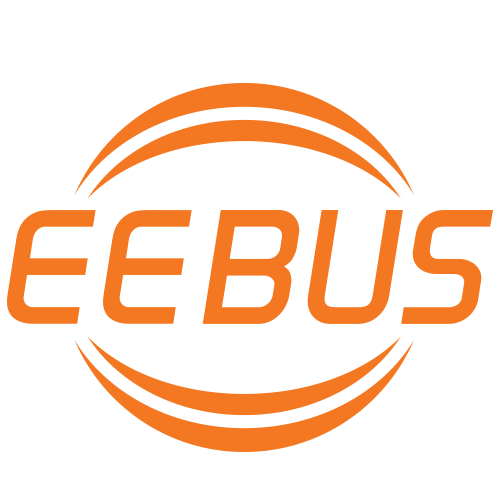 To raise familiarity with EEBus technology in Germany and abroad and to support it as an international standard, the companies involved have announced founding of the Initiative EEBus e. V. at the Hanover trade fair. It is chaired by Peter Kellendonk and Dr. Bernhard Thies, manager of the DKE Kommission Elektrotechnik Elektronik Informationstechnik in the DIN and VDE.